At Guerreros Electric we strive to keep your home and business looking great with Residential & Commercial Lighting and Electrical Services. We invite you to explore our website and learn more about our clients, projects, and the services we provide to local customers. We prefer to provide services locally in order to help keep our costs down for our customers. Occasionally, we do accept jobs on the peninsula or in the south bay. 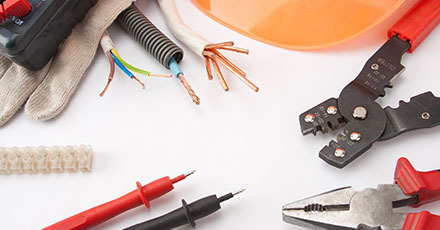 The electrical contractors on staff have more than 25 years of experience working on lighting, wiring, and other electrical maintenance. We are ready to service you in our broad area of coverage. Give us a call if you don't see your city listed below, and we will see if we can help you out! 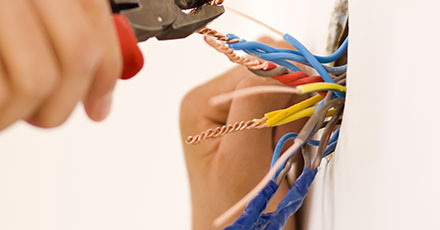 We are your electrical solutions experts for both residential and commercial properties. When a call is received from a potential customer, installing the most efficient electrical wiring system involves planning before executing. All of our work produces excellent and reliable results. We value our regular accounts, and they look to us to provide reliable service. 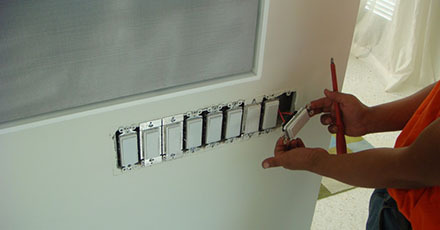 Electrical panel upgrades or replacements will update your old breaker box and give it the ability to handle today's power needs. At Guerreros Electric we strive to keep your home and business looking great with Residential & Commercial Lighting and Electrical Services. © 2014 Guerreros Electric. All rights reserved.